My wife noticed, many years ago, that every time I walk outside at night, the first thing I do is to look up. For a while she assumed that it was because I had a telescope operating somewhere and I wanted to see the condition of the sky, the locations of the clouds. Then she realized that I would even do it when she knew that I wasn’t using any telescope anywhere. It’s just what I always did: walked outside, looked up. Finally, she asked me about it. My first reaction was: I do? But then, after awhile, I realized: I do. I am always curious about clouds and about clarity, but mostly I just want to make sure that everything is right with the universe, that all of the stars are in place, that the moon has moved to whichever new spot in the sky it should be that night, that any of the planets that might be up are where they are supposed to be. Sometimes I get a bit of a jolt, even though I know it is coming. When I fly to Hawaii and go use the telescopes out there I look up at night and see, oddly, that Orion is almost straight overhead, instead of low in the south like it is supposed to be. At that point my eye always travels north to try to find Polaris, now dangerously close to the horizon. Then I take a glance as far to the southern horizon as possible and I see something unsettling: stars I don’t know. I might as well be in another universe. For all of my traveling the globe to go to telescopes, I’ve only been south of the equator once, for my honeymoon. When I went outside and looked up there, it was an odd combination of familiar and bizarre. In the north, Orion was flying overhead, but upside down. The bright red Betelgeuse, which translates as armpit of the giant, should really be called kneecap of the giant from there. The moon was also much further north than I was prepared for and it, too, was upside down. It really did give me that feeling that I was standing on the opposite side of the world, that my head really was pointing in a different direction than when I was at home. One of the reasons that I was surprised when my wife mentioned to me that I always look up is because I was a little surprised that everyone else doesn’t do the same thing. The grand vista of the stars and the planets is above us night after night, and all you have to do is to look up. Most people are shocked when you explain to them, for example, that you can look at Betelgeuse and you can look at Sirius, and you can see that they are different colors. They’re amazed to know that that bright light in the twilight sky is not an airplane but is indeed the planet Venus. They are truly floored when you suggest to them that they get out a pair of binoculars and look at Saturn – high over head in the sky these days and you can see the rings. Or the moons of Jupiter. All of the stuff is out there for the taking. I was in New York City this past week to give a lecture at Sarah Lawrence College. To get to Sarah Lawrence I walked my way down to Grand Central Station in the late afternoon, stared at the board of departures trying to figure out which was the right train to take, bought my ticket at an automated dispenser, and then had a few extra minutes to kill before the train left, so I stepped back against a wall to watch the people go by. Everyone was in a hurry across the floor, trying to catch a train or make their way home. But somebody on the other side of the concourse was doing something that no one else was doing, so it caught my eye. She was looking up. Curious what might be attracting her attention, I did the same, and there, inside of the building, a hundred feet up on a huge dome ceiling, was the sky. Not just any sky, a spectacular painted sky with stars in place but also the constellations drawn and the ecliptic and celestial equator drawn through! Orion (with a gleaming Betelgeuse in his armpit) battles Taurus the Bull in the heart of the flowing Milky Way while winged Pegasus watched high above. Castor and Pollux look, to me, like they are plotting mischief to the side. And, with thousands of people streaming through the concourse, there was one – now two – people actually looking up to notice. It reminded me of, well, of Los Angeles at night, where no one bothers to look up. Because the constellations were painted along with the stars, I concentrated on the constellations. They were what was new to me. When I look at the real sky, I look at the stars, and don’t think much of the constellations, since no one has taken the time to paint them in the sky. But here they were beautifully drawn with sparkling stars as highlights. Something was a little funny, though. At first, since I was concentrating on those new drawings, instead of on the real stars, I didn’t quite get it. But then it hit me: Taurus is on the wrong side of Orion. Castor and Pollux are switched. And what is Pegasus doing high to the left instead of to the right? It was like the real sky, only backwards. Backwards is not the same as upside down. Backwards is like a mirror. Backwards it like you never ever really see it anywhere on earth, or, really, anywhere else in the Universe. My scientific, educational self was offended. What? They spend all of this effort to put the sky on the ceiling and they get it wrong? The ceiling, though, was copied from artwork that was supposed to be illustrating what the sky looks like from outside the Celestial Sphere. Except for one thing: there is no such thing as a Celestial Sphere. The Celestial Sphere is what you would think was out there if you considered the whole night sky to be a planetarium with little points of light a small distance away. Imagine now that you can sit outside the planetarium and see the stars. This is what the ceiling at Grand Central looks like. And then I went from slightly offended by the inaccuracy, to thoroughly charmed by the historical accuracy. Yeah, I thought. People really used to think that you could step outside and look in and this is what they would see. This ceiling is fantastic. It is the International Year of Astronomy. Brown: If there is anything I can convince people to do, I want people to not just sit here and listen to astronomers and think about astronomy but to look at the sky. So what I want everyone to do where you walk out tonight is to look up. You’ll see Orion, you’ll see Sirius. Just look up at the sky for a minute and think about what’s out there. That’s what I want. I was asked by a magazine to review Alan Boss's new book The Crowded Universe. They asked for a review that was a much an essay on the field as a review of the book itself, which made it a very fun exercise. The following is based on the review that I got to write. The planetary structure in which the sun at the centre makes the spheres found in its system orbit in eternal circles by means of its powerful force of attraction is entirely developed, as we have seen, from the originally distributed basic stuff of all planetary material. All the fixed stars which the eye discovers in the high recesses of the heavens and which appear to display a kind of extravagance are suns and central points of similar systems. To paraphrase: gravity takes stuff and turns it into stars surrounded by planets, and it has done so everywhere you see a star in the sky. For the first 240 years after the publication of Kant’s assertion, this fact could only be verified for only a single star in the sky: the sun. In 1995 Michel Mayor and Didier Queloz announced the discovery of the first planet orbiting a star other than the sun. Now, fourteen years later, almost 300 stars are known to have planets around them. It is not quite “all of the fixed stars which the eye discovers,” but it’s getting close. Kant was substantially correct. It had been accepted since the 17th century that our sun is not special, but is, instead, but one of many stars in the universe. Now, at the beginning of the 21st century, it is clear that our planets aren’t special either. Except that some of our planets are still special. It is tempting to describe the many planetary systems that have been discovered in the past decade and a half as simply weird. Rather than the orderly arrangement of planets that we have here in the solar system, with small planets close, large planets far, and everything going around the sun in satisfyingly circular orbits in a common disk (each one of these properties is “inevitable”, according to Kant, and according to most astronomers up until late 1995), we have instead found planets the size of Jupiter that orbit their stars closer than Mercury, planets with orbits as elliptical as some of the comets in the solar system, and planets with separations from their central star far beyond even the most distant objects detected in our solar system. Weird, indeed. The only type of planetary system that we haven’t found, it seems, is one like our own. Nowhere out there has there been anything quite like the solar system; nowhere out there is another Earth. But even this special position that our home planet holds is now in jeopardy. Alan Boss’s new book The Crowded Universe tells the story of the development and launch of NASA’s Kepler spacecraft, which was recently launched from the earth to go into orbit around the sun. Kepler’s 3 1/2 year mission is simple to state: find the Earths. Kepler, along with a similar ESO mission CoRoT, will be the first to finally have a chance to tell us whether planets like the one on which we live are as common as Kant would hope or as rare as some astronomers think. Boss weaves the story of Kepler (surely a must-read cautionary tale for anyone contemplating a life in NASA mission development) with the larger story of the entire, now booming, field of exo-planets. As someone whose astronomical career has spanned the period Boss discusses, I’m glad someone was taking notes. It is fun to be able to go back to those days when each new planetary discovery was an exciting event with multiple teams struggling to outdo the others with firsts. First planet at the distance of the earth! First transiting planet! First multiple planet system! With the current richness of the exo-planet field it is easy to forget that almost all of this is under a decade old. Boss gives the insider story not only of the Kepler mission development and the birth and childhood of the entire exo-planet field, but, in a stroke of luck for us all, he got to play a intimate role in the definition of planets in our own solar system, and he gives what I believe is the first account of some of the inner workings of the International Astronomical Union committee that first started trying to figure out what to do with Pluto and Eris and the things that we now call dwarf planets. 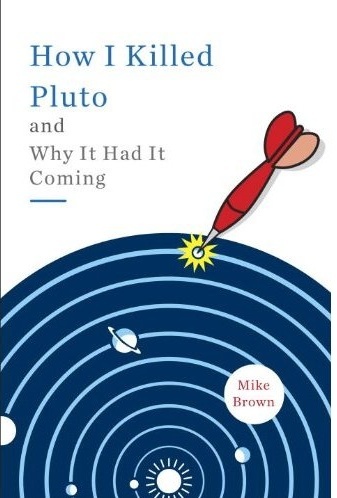 The demotion of Pluto was unassailably reasonable, but the events leading up to this eventual demotion were some of the more publicly comical occurrences in recent astronomical history. Reliving these moments is an excellent reminder that for all of their command of the physics of the universe around them, astronomers, being human, have the capacity for nearly infinite folly. But for Boss and The Crowded Universe, Pluto is just a distraction, and rightly so. The meat of his book is the race for finding something like the Earth. Sitting in the middle of the events, it would be easy to get caught up in the day-to-day (or perhaps committee meeting to committee meeting) details. But Boss, while detailing the daily work of himself and other scientists involved in the field, never ceases to forget that we’re privileged to live in such at a time when a nearly-Copernican-magnitude revolution is unfolding. Yet even if Kepler and CoRoT find an abundance of planets, the 250 year old Kantian revolution will not be complete. The planets that these spacecraft might find could be the precise size of the Earth and could orbit their stars at the exact distance of the Earth, but while an astronomer might be willing to call such a thing Earth-like, most people will still want to know more. Does it have liquid water? Does it have a recognizable atmosphere? And, inevitably, the only thing that really matters, could it – no: does it – support life? I am of the opinion that it is not particularly necessary to assert that all planets must be inhabited. However, at the same time it would be absurd to deny this claim with respect to all or even to most of them. It took 240 years to prove him mostly right the first time. With a little bit of luck and a little bit of perseverance and, as Boss shows, a lot of the day-to-day work of astronomers around the world, the final step might come just a little bit faster.